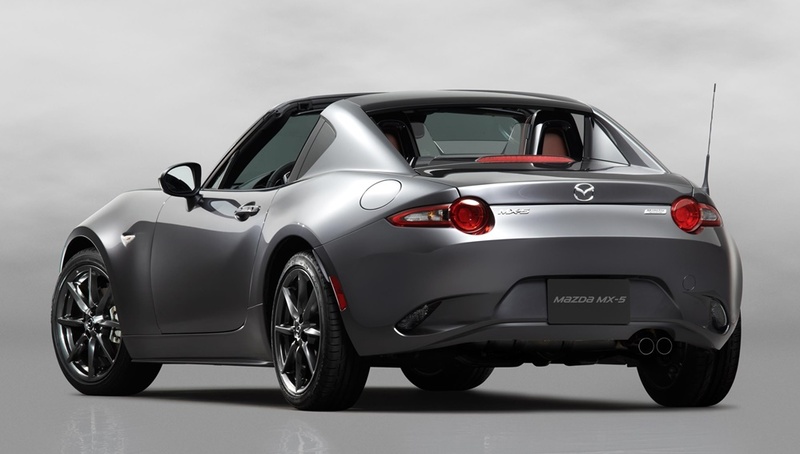 Following the crazy success of the all-new Mazda MX-5 on the market, the Japanese carmaker decided to impress the audience with the release of its convertible sibling, the version now being available in the United States from a good $31,555. The entry-level price comes with a lot of interesting features, but in case you want to get the golden apple, then you will have to through in a total of $34,925. What sets the RF apart from its roadster sibling is the classic feel and look, is its main attributes and highlights including the standout Machine Gay Mettalic body wrap which replaces the Meteor Gray Mica, adding the Retractable Fastback and a plethora of gizmos inside. The interior is now tweaked with the 4.6-inch full-colour TFT gauge, seven-inch MAZDA CONNECT, SiriusXM, HD Radio, phone connectivity, nine-speaker BOSE audio system with integrated headrest-mounted speakers, and so on. The higher-end version also complete the plethora of features with LED headlights and taillights, leather steering wheel, shifter knob, limited-slip differential, black functional aerodynamic body extensions at the front and rear, or Bilstein suspension. All version will also be equipped with the latest safety features, like Blind Spot Monitoring, Hill Assist system, Rear Cross Traffic Alert, rearview camera and a few more. For extra cash, you can also equip your all-new 2017 Mazda MX-5 Miata RF with additional exterior colours, like Soul Red Metallic, available for $300, Machine Gray Metallic, for the same $300 or the Crystal White Pearl Mica, now costing $200 and being fitted on the GT versions alone.